Joan here today. I made this cute little card using the Kreaxions 4 in 1 punch #904 with no insert. I punched a strip of white paper on both sides with the punch. I then cut the edges of the punched strip off and used them as the flap for the blouse. Adding the pearls as buttons finished the card. 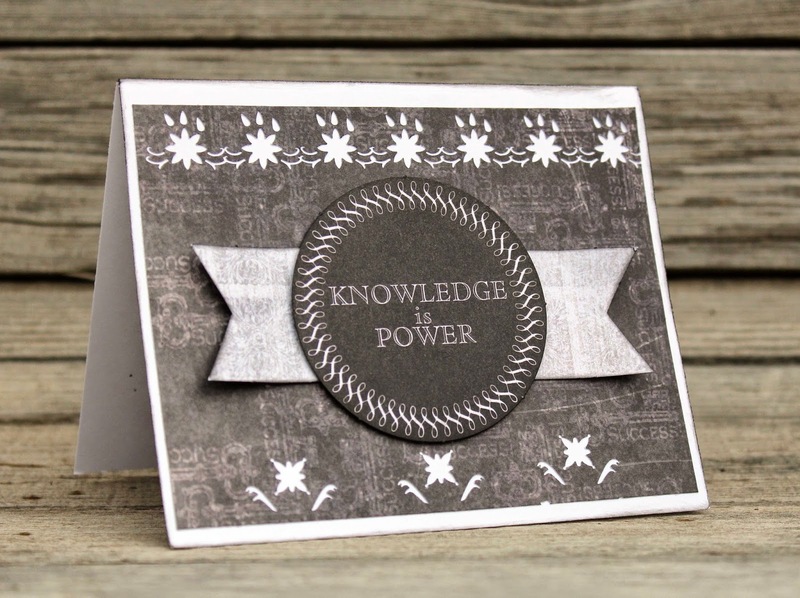 Such an easy card to make … yet the punch work makes a big statement. Hello! Louise here with a little card I made. I used the positioning parts and punch 916 to punch inside the circle and make the window. The border along the bottom and the scattered flowers are from punch 306 (one of my favorites). Hi Chris here and today I am sharing this project I created using the #307 Kreaxions punch and the C punch positioning part and the Kreaxions Circle Cutter. I started off by punching the corners of two 6 inch square with the #307 and the C insert. I cut out some circle to place behind some of the punched corners to really highlight the punchouts. I then added some tissue over the right side of my layout. I spritzed my background with glimmer mist in khaki and tiger lily and then added my matted photos. I topped it off with a tag and some little embellishments. Hope you enjoyed this project! Are you in need of graduation cards this spring? I am and these Kreaxions punches are making it super simple to spruce up an older Graduation line I have from Moxxie. I started with punch #909 but punched the design too far apart so I started over and lined up the designs closer to do this card. It gives it a really fancy and pretty border, but was really simple to make. Then I went back to the first paper I had punched and looked at it again. I cut off the portion between the flower and corner cut, punched the top with #912, lining up the design to slightly over lap and I had another beautiful card. Charity of Scrappin' Chaos sharing a card that shows off inner circle punching the Kreaxions way! 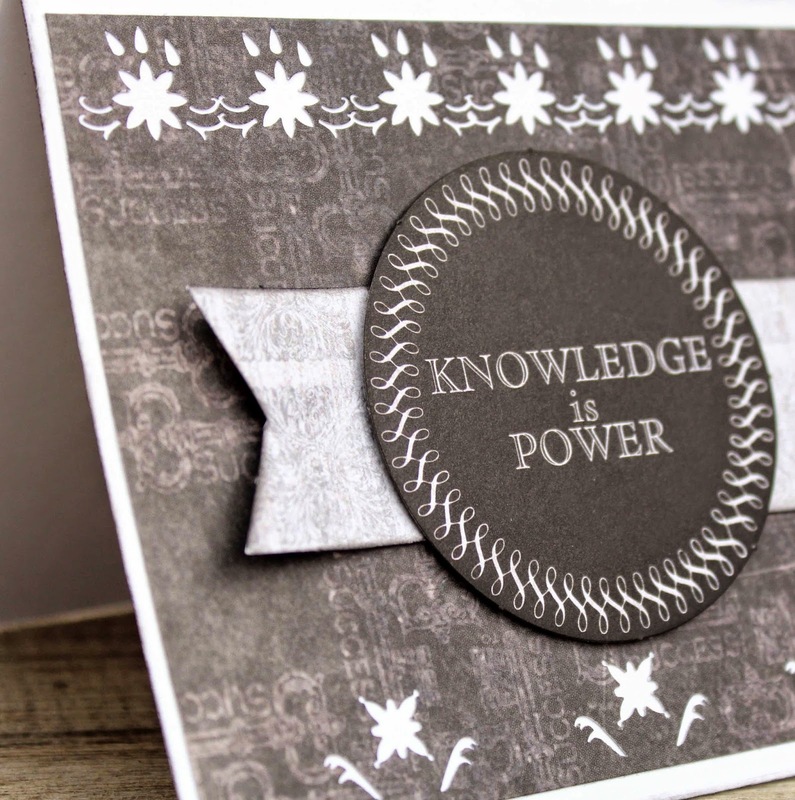 To complete this card begin with a 3.5" vellum circle, layered with washi tape. Adhere the circle to a 5X7 card front. Cut a 2.5" inner circle using the Circle Cutter. 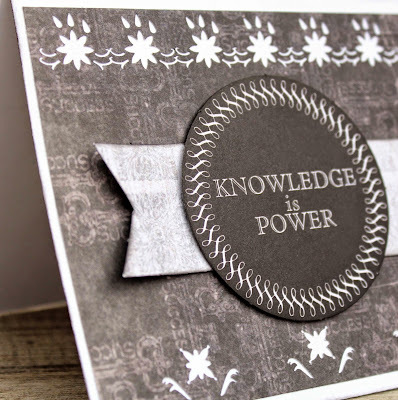 Be sure to cut through the layers of washi, vellum, and card front. Use the Star Template to mark 1/8 divisions on the back of the circle.Punch each division with Kreaxions Punch #901. Mount the card front on to a white card base. The Kreaxions circle cutter trims right through each layer without peeling up the washi.The 4-in-1 punch is equally versatile and leaves clean cuts with each pressing. If you struggle with hand strength use the Punch Mate to assist. Hello there! Ginni here today with a card that celebrates the beginning of Spring! 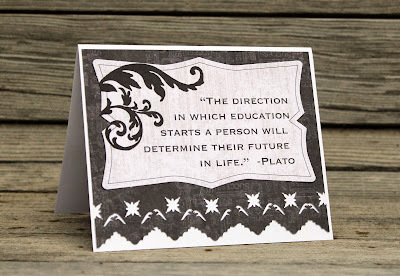 I hope you've enjoyed this card today! 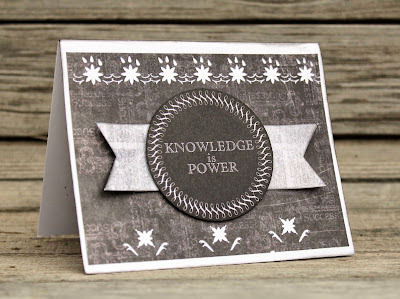 You can use any Kreaxions punch to create borders and you could use any kind of die cut or sticker or any embellishment to create your own card like this! Happy Punching! Colleen here with a sunny layout. I used Punch 901 and insert A for the border under the photo and just the punch without the insert for the border at the top. I love this punch there are so many different uses and with spring coming (I think) it will be great on spring and summer layouts and cards. You can find the Kreaxions Punch 901 in the store as well as other items you all need for scrapping. Hi! Joan B. here today ... I have a long list of crafty techniques and ideas that I would like to try someday. I finally got to check one of those ideas off my list … a Z Fold Card. The perfect way to finish the card off was to punch the edge with the Kreaxions 4 in 1 punch # 918 with no insert. I love the detail that the punch added to this card. Louise here with another vacation layout. I used Kreaxions punch #306 to cut the row of flowers across the bottom and scattered the negatives around the page. I used Kreaxions punch #914 to punch the corners on the mat around the lower photo.